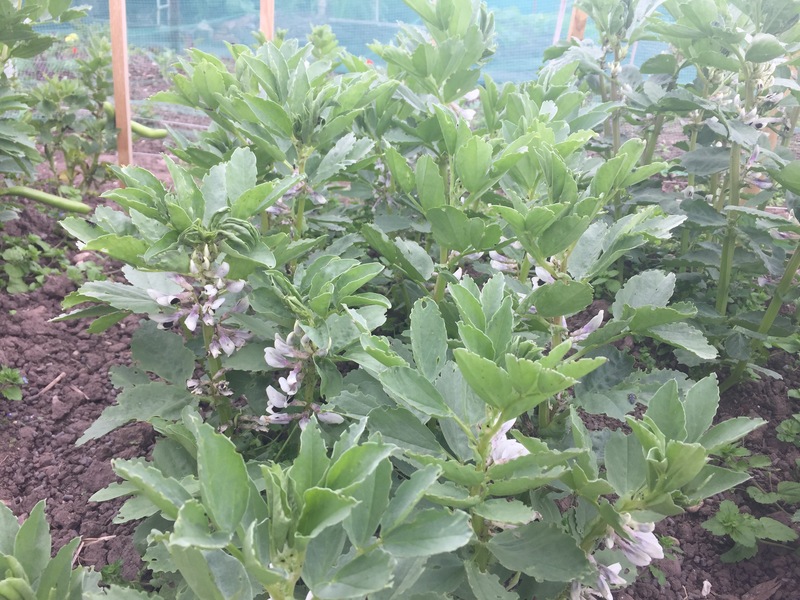 De Monica is advertised as one of the earliest spring down broad beans to harvest and should from a Feb planting it is claimed be ready to harvest in May. It has a RHS award at the time of writing. 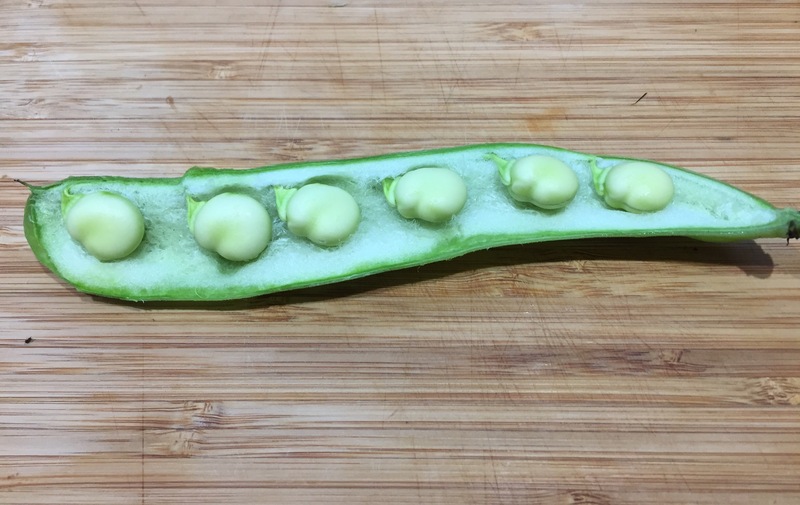 The yield is large with about 5 beans per pod which grow to a large size and still remain quite tender even when big. We had a bit of a funny spring this year and if I’d started harvesting in may I would truly be committing infanticide. The crop was ready in early to mid June. Although they are supposed to grow to 120 cm mine did not go over 60 cm and although I put stakes in place they didn’t need support this year but this may be because of the unusual weather. Taste: Though quite tender even when large, I found them a bit insipid. They are a little sweeter and less bitter than the heritage variety but have perhaps because of that lost some of the punch. 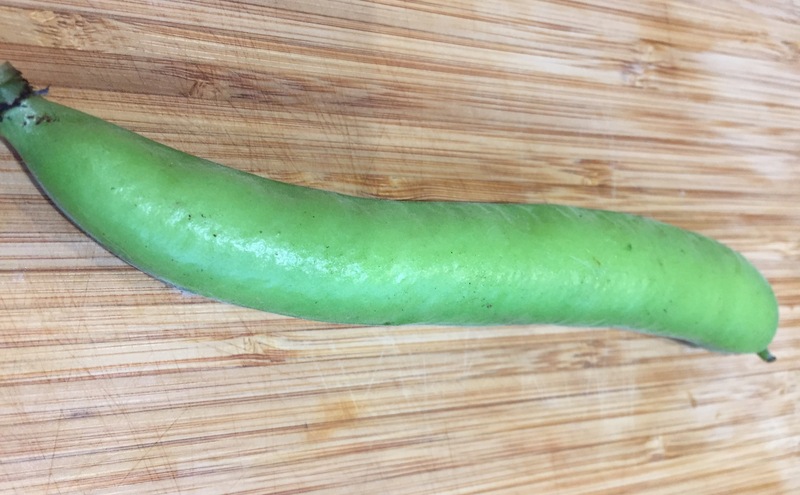 Plant health and yield: Good germination and plants were robust, healthy and strong even with a spring with late frosts, droughts and flooding. No black fly yet. Yield is good. Grow them again? Probably not. I grow mainly for flavour and found these no better than frozen supermarket varieties.